Joining the popular flavours of Vanilla, Strawberry and Tropical Fruit comes the latest addition to the Vaalia Kids Yoghurt range – Banana. 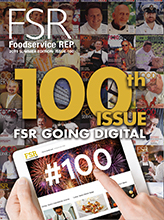 Featuring real banana puree swirled through rich, creamy yoghurt, it’s packaged in a convenient, freezable 140g pouch. 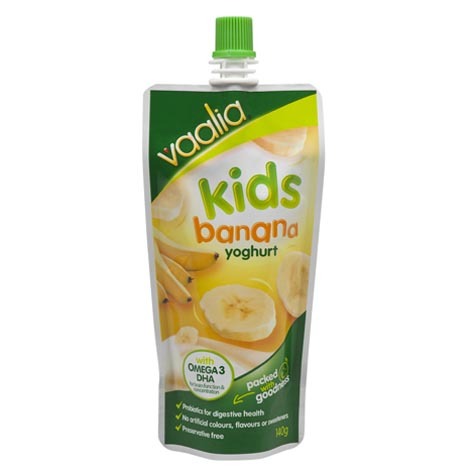 Vaalia Kids Yoghurts have been specifically developed to suit the nutritional needs and taste preferences of 4-12 year olds. Vaalia is the only brand of yoghurt in Australia to include Omega 3 DHA, which assists brain and eye development in children, in its range of yoghurts for babies, toddlers and kids. All yoghurts in the range also feature a combination of the probiotic cultures Acidophilus, Bifidus and LGG, are low GI and free from preservatives, artificial colours, flavours, sweeteners and gluten. They also contain protein for growing bodies and calcium for strong bones and teeth. More information: visit www.vaalia.com.au for details including recipes.